Stationary Friction Ring: Oil-impregnated nylon sea ring with hose barb connection for air venting or water injection. Covered Spring Chamber: Provides a secondary water seal for extra backup protection. Versatile Adapter Ring: Makes it easy to adapt the shaft seal system to your boat. Self-Centering Shaft Clamp: Split C clamp for non-marring, perfect-aligned grip of propeller shaft. 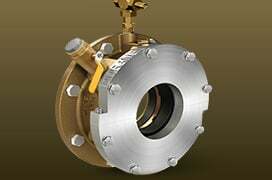 Rotating Seal Ring: Marine grade, non-corrosive stainless steel, electrically isolated from the shaft by an O-ring. Economical Choice for Pleasure or Commercial Vessels Mega yacht or passenger ferry. It comes with a choice of an aluminum or bronze adapter ring housing with an integral mounting flange and back-up Air seal. You can inflate the back-up Air Seal while the shaft is stationary-allowing you to make minor adjustments to the seal and stop water flow in case of catastrophic failure of the seal. The integral mounting flange is un-drilled to make attachment simple-you can use your own bolt pattern. 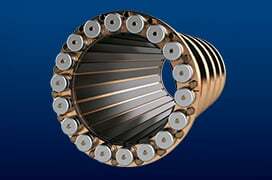 For shaft diameters 2-1/2” inches to 6-3/4 inches. Designed With The Fiberglass Builder In Mind. Perfect for new fiberglass vessel construction. 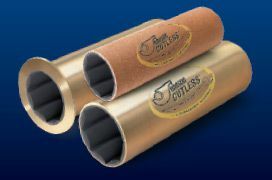 Features the “Maintenance-Free” Shaft Seal System with an integrated FRP stern tube and a Johnson Cutless bearing. 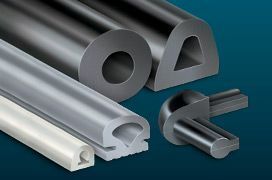 The factory-tested bond between the shaft seal and FRP tube verifies seal attachment to the stern tube. The FRP stern tube saves production time by allowing you to fiberglass the engineered system directly into your boat. Designed with the Aluminum Builder In Mind. Ideal when constructing an aluminum vessel. Features the “Maintenance-Free” Shaft Seal System with an aluminum adapter ring. The ring saves production time by allowing the installer to weld the seal assembly directly to the aluminum stern tube-thus eliminating the need for a shaft seal adapter, hose and hose clamps The compression clips pre-compress the tension spring for easier installation. Series Of Mounting Adapters Available. They make installation of the Duramax Shaft Seal System easy for your vessel. 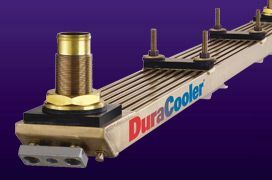 They are designed to simplify installation and reduce retrofit costs. Duramax Shaft Seal Systems are available for pleasure boat builders and commercial applications.